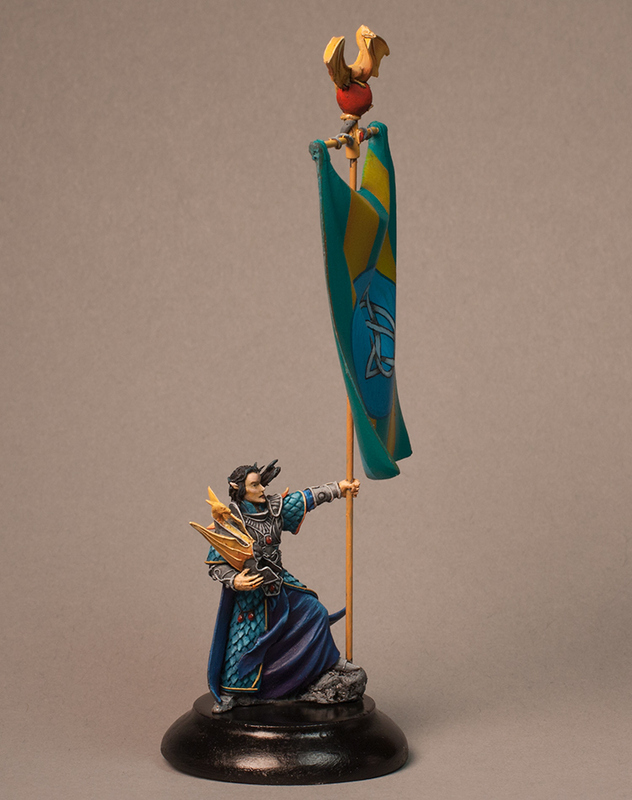 I’ve finished the Elf With Banner. 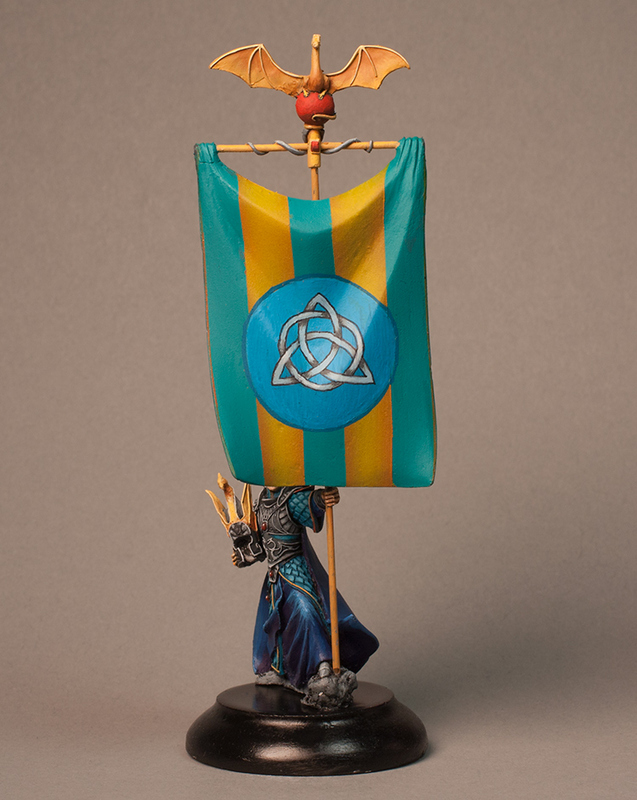 I used the airbrush for the background of the banner, and then brushed on the design. This is my first attempt and freehanding something. It came out ok, but I think I can do better than this. 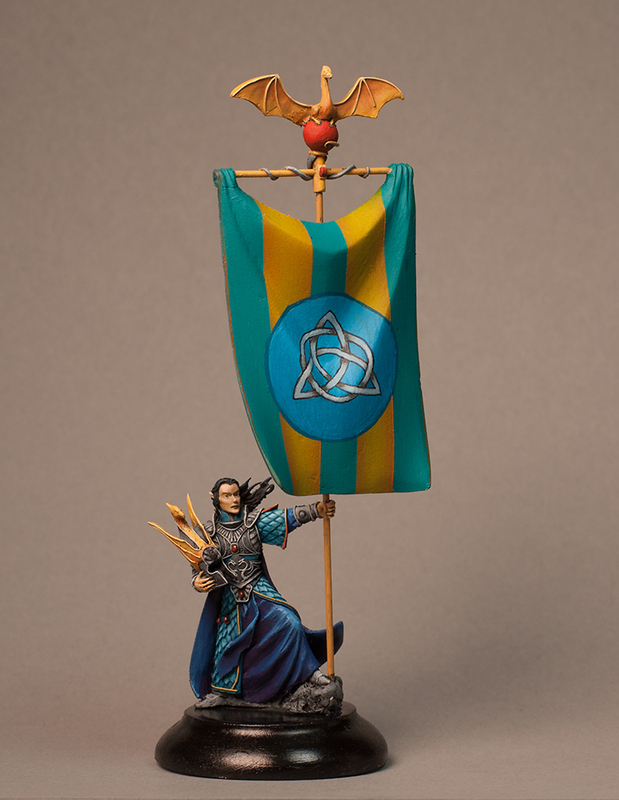 Overall, I think the figure is better painted than the banner. This figure came with an alternate arm that’s holding a sword. Maybe I will replace the banner with that to improve the overall look.